Elvis Puentes, a 2-year-old male, died Friday, Jan. 11, in Covina, according to Los Angeles County Medical Examiner-Coroner's records. The cause of death is pending. Zaraellia Carol Thompson, a 4-year-old black female, died Sunday, Dec. 2. Royal Marshall, a black male, died Wednesday, Nov. 7, after sustaining blunt force trauma in Lancaster, according to Los Angeles County Medical Examiner-Coroner's records. Olivia Ma, a Asian female, died Tuesday, May 8, after sustaining blunt force trauma. 624 1/2 W. 49th St.
Selena Alfonso Galvez Gonzlaez, a white female, died Saturday, May 5, in Vermont Square, according to Los Angeles County Medical Examiner-Coroner's records. 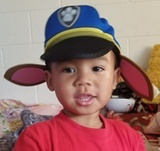 Franklin Pon-Ros, a 3-year-old boy of Cambodian-Laotian descent, died on Saturday, Jan. 20, after he was shot in the 2800 block of West Alondra Boulevard in Compton, according to Los Angeles County coroner’s records. Franklin was in the back seat of a car when his mother and her boyfriend stopped in the parking lot of Nate’s Liquor Mart at West Alondra Boulevard and South McKinley Avenue about 7:40 p.m., said Los Angeles County Sheriff’s Lt. Joe Mendoza. The boyfriend walked into the store briefly, passing another man standing at the counter, according to surveillance video made public on KTLA5 and other networks this week. The men saw each other but did not speak in the store, Mendoza said. Makayla Keanna Prenatt, a 3-year-old black female, died Wednesday, Dec. 20, after sustaining blunt force trauma. Camille Brewster Hickman, a black female, died Thursday, Oct. 19, in Historic South-Central, according to Los Angeles County coroner's records. Baby Acosta, a 15-week-old fetus, died Sunday, Aug. 6, after its mother was shot in the 1200 block of West Victoria Avenue in Montebello, according to Los Angeles County coroner’s records. Montebello police found the mother, Roxann Felicia Acosta, a 28-year-old Latina, suffering from a gunshot wound at a residence about 10 p.m., according to Sgt. Marc Marty. She was pronounced dead at the scene at 10:22 p.m., according to coroner’s records. Detectives thought Acosta was killed by her husband, Christopher Michael Diaz, 26. The two were estranged, Marty said, but had spent the day together before ending up at Diaz’s mother’s house in Montebello. Acosta and Diaz had an argument, and witnesses heard gunshots, Marty said. Diaz’s mother was in the house but in another room; other people also were in the home. 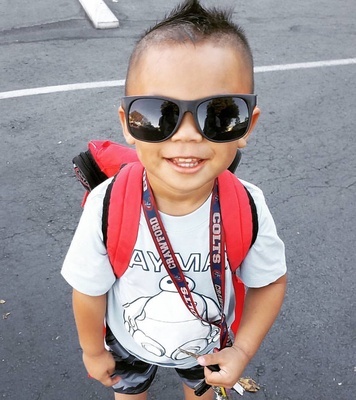 Aramazd Andressian Jr., a 5-year-old male, died Friday, June 30. Ezekiel Messiah Dozier, a 5-month-old black baby, died March 9, 2017, after suffering head trauma and having been shaken in the 400 block of Madison Avenue in Pomona, according to Los Angeles County coroner’s records. Pomona police responded about 7 p.m. March 5 to a house where Dozier’s grandmother had called 911, saying the baby was unresponsive. Police found the boy was barely breathing on his own, Sgt. Brian Hagerty said. Paramedics transported Ezekiel to a hospital, where doctors determined he was suffering from shaken baby syndrome as well as head trauma. The boy died four days later, at 12:27 p.m. March 9, according to coroner’s records. Ezekiel had a twin sister, who was not harmed, Hagerty said. Detectives discovered the twins had been left in the care of their father, Brandon Dozier, while their mother was on vacation, Hagerty said.